Just about every frugal miser has violated the Miser's Code of Frugality a time or two. I committed a heinous violation earlier this year. 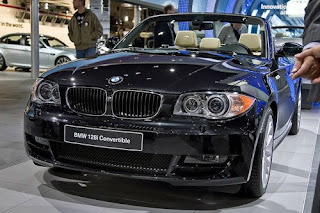 In March I purchased a 2009 BMW 128i convertible. I was driving a Toyota Corolla, a respectable car for a miser. When the 128i first came out, my high school dream of owning a Bimmer reared its ugly face. I committed another violation of the Code of Frugality by financing the car. I didn't even make a down payment. I figured with a 3.9% interest rate and a steady job of six years that I could afford the payments. Less than one month after purchasing the car, I received an action plan at my job, part of our new Six Sigma bureaucracy. I suspected in April that my job was not safe. Alas, by the end of August I would be unemployed. So now I am unemployed, but am making an almost $800 monthly payment on this car. Huge, stupid mistake. I should have been banned from the Misers Club for making such a move. Instead, I have been forced to explore what a real miser would do to cut costs everywhere from the water bill to fuel purchases. Thanks for the kudos on the rental properties... I'll be sure to discuss how I did it all in a future post. There are a lot of blogs advising us on creating passive income, and besides an occasional tenant issue, these properties require minimal ongoing effort to generate income. I'm actively trying to sell the Bimmer. In fact, I'll post tomorrow about my initial attempt.